Listen to the lyrics of the song and write in the missing words. 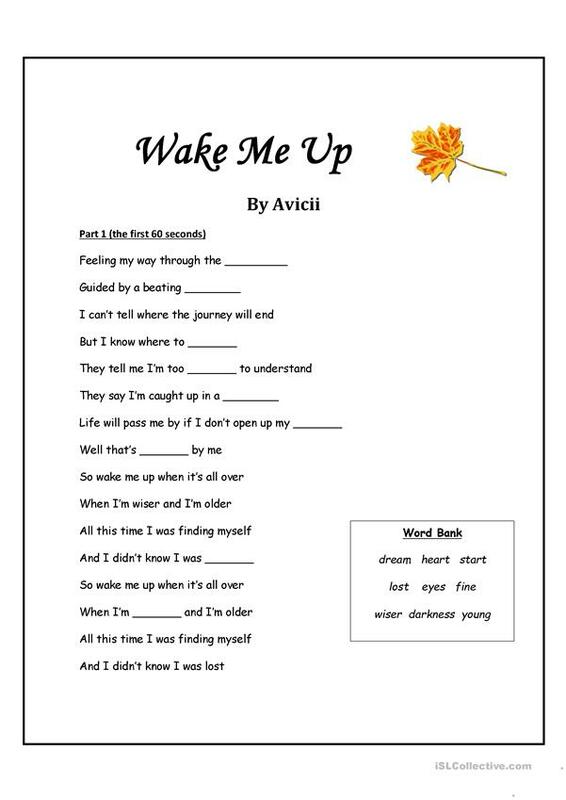 The present printable, downloadable handout is best suited for elementary school students at Elementary (A1) level. It is a valuable material for enhancing your groups' Listening and Writing skills. It centers around the topic and words of Music.